Carefully illuminated yards are some of the most beautiful yards on any block. Landscape lighting extends your Boerne living space, creating beauty, drama and safety for your yard. At Boerne Landscaping Pros, we use landscape lighting to highlight the beautiful features of your home and improve security for people who live in your home, neighbors, and people who are coming into your home. At Boerne Landscaping Pros, we are experts in outdoor landscaping lighting, design, and installation. Our selection of bulbs and fixtures make it possible for all homeowners to find favorable options for their homes. We specialize in finding landscaping lighting that will save energy, add beauty, and keep your yard shining year round. When the sun sets, your lights will automatically illuminate with light and extend the amount of time that you can stand outside. We can put a few lights in your yard to light pathways or specific areas or you can get a lot of lights to keep your entire yard illuminated. Some of the most common spaces for outdoor lighting include pathways, pools, patios, decks, and driveways. 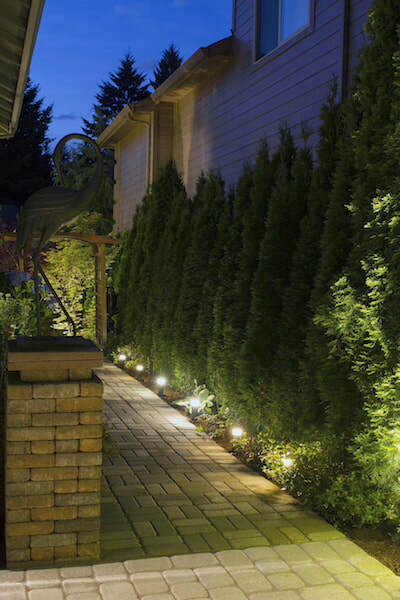 We offer turnkey lighting services ranging from design to installation, and our team of landscape experts will recommend the perfect lights for your yard, light that will accent landscape design, hardscaping, and enhance your property’s value. Blindly wandering through your yard can be dangerous for you and your guests. Tripping over toys, tools, and hardscaping features is always dangerous, and some homes have added danger with in-ground pools, steep hills, and patio furniture. Landscape lighting saves quite a few stubbed toes! Outdoor lighting can help with navigation along pathways and through landscaping as well as around those hazardous zones. Some of the most common areas to get landscape lighting installation include decks, patios, pools, and outdoor landscape areas. 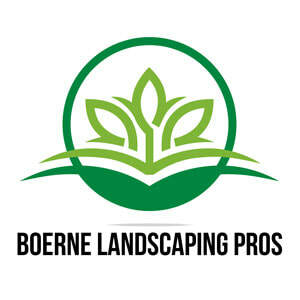 Boerne Landscaping Pros. helps you to ensure that your yard is safe for people you want to be there. Even more importantly, darkness in your yard can bring uncertainty and danger – just what is out there? Outdoor lighting creates a sense of security that darkness cannot provide. You are protected from people who might be trying to come onto your property, joking kids who want to loan you some toilet paper, and critters that go bump in the night. Outdoor lighting comes in many different styles and types. Outdoor lighting can have motion sensors and detectors so that you can have an instant alert that someone is in your yard. Or, you can have outdoor lighting that stays on all throughout the night – these types of lights will deter trespassers and criminals who might want to make something harder for you. Since we have a landscaping design team with our company as well, which means that landscape lighting can be a part of our design idea. If you want to have a complete outdoor project, lighting might be a great part of it. If you have a deck or patio, providing additional light to that area will make that space usable after dark. For parties, events, and holidays, there is nothing better than a great deck party. 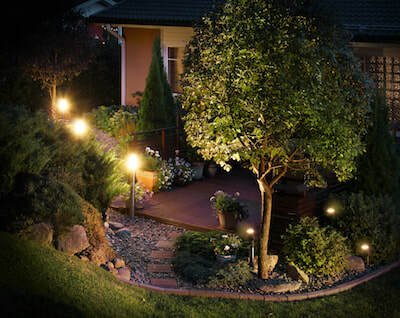 Another great idea for landscape lighting is to use a spotlight to highlight your home and landscape design. Outdoor lights allow you to put the spotlight on areas that you want to display to the public eye. Our expert design team will create lighting solutions that will capture your home at its most beautiful – you can even add different color lights to show off team spirit, holiday appeal, or just to look different. Our lighting solutions will have a great impact on how people see your home. Landscape lighting adds luxury to your entire neighborhood – when all other homes are dark and dingy, with only a porch light or old landscape lighting, your home will look brand new and luxurious. Proper outdoor lighting, when designed and installed by professionals, will add curb appeal and user appeal to your home – call us today to get started. Once we have gotten the okay from you, our team of landscape design specialists will work with you to create the outdoor living lifestyle that you will truly love. We absolutely adore spending time outdoors and we want to pass that passion on to everyone else – which is why comfortable living spaces are so important to us. Are you ready to get started? Once you see your house illuminated at night, whether you are getting home late and don’t have to worry about tripping over a bike or skateboard, or just enjoying a glass of wine on the patio, you will wish you got started sooner.